On 25 October 2014, Just Glass held its biennial seminar, dedicated to developing the skills and profile of British Studio Glass. As in previous years, glass-makers, collectors, students and indeed anyone with an interest in the creation of studio glass is invited to join Just Glass to hear some of the country’s most innovative glass artists share their skills and experiences of breaking boundaries by combining glass with a range of other materials. Hear Sarah Blood talk about her use of inert gases with glass and mixed media to create her work, and Kirsty Brooks explain digital manipulation and application of images to her architectural glass. Anna Dickinson will talk about how she incorporates metal with glass, exploring the use of cast and blown pieces, while Shirley Eccles will reveal her approach to using found objects in wood, metal or stone with glass. 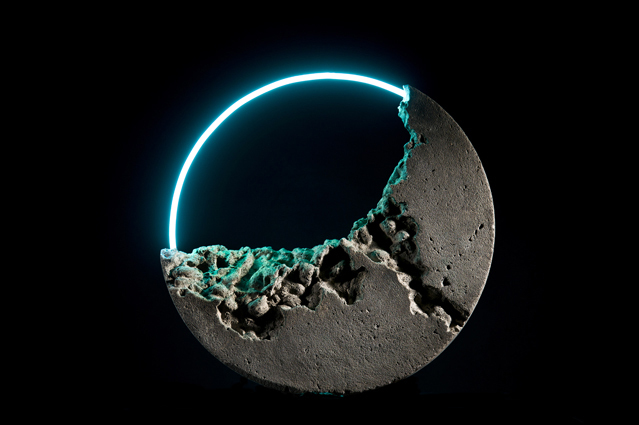 Making works that explore the power of myth, Emma Woffenden will discuss how she uses a variety of materials combined with glass to create challenging sculptures and installations. All these artists share a strong drive to explore and to respond to their environment and true material ambition.